I think it’s only right that David Ramsey gets his spot on SHJ, as we’ve seen a ton of Team of Arrow here already. Dude routines, Lady routines, In-Home Routines….Team Arrow has supplied them all. 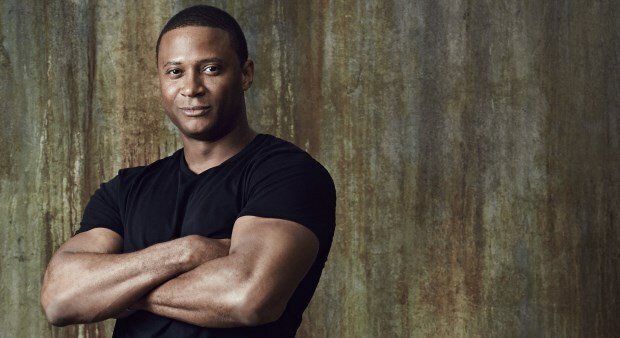 And David Ramsey is not exception to the list of badass Superhero Jacked celebrities who can supply an awesome routine. Although, we HAVE technically speaking seen him sporting in the picture for our In-Home SHJ Bodyweight Workout next to co-stars Caity Lotz and Stephen Amell. But, we won’t get all technical. Ramsey is right up there at the same height as Chris Evans, Hugh Jackman, Mike Colter and Henry Cavill and I specifically name them because they have a decently similar body type as well. I don’t even know anymore. I’m all messed up with the monsters like Dwayne Johnson, Jason Momoa, Batista and Ben Affleck lurking around on the site. 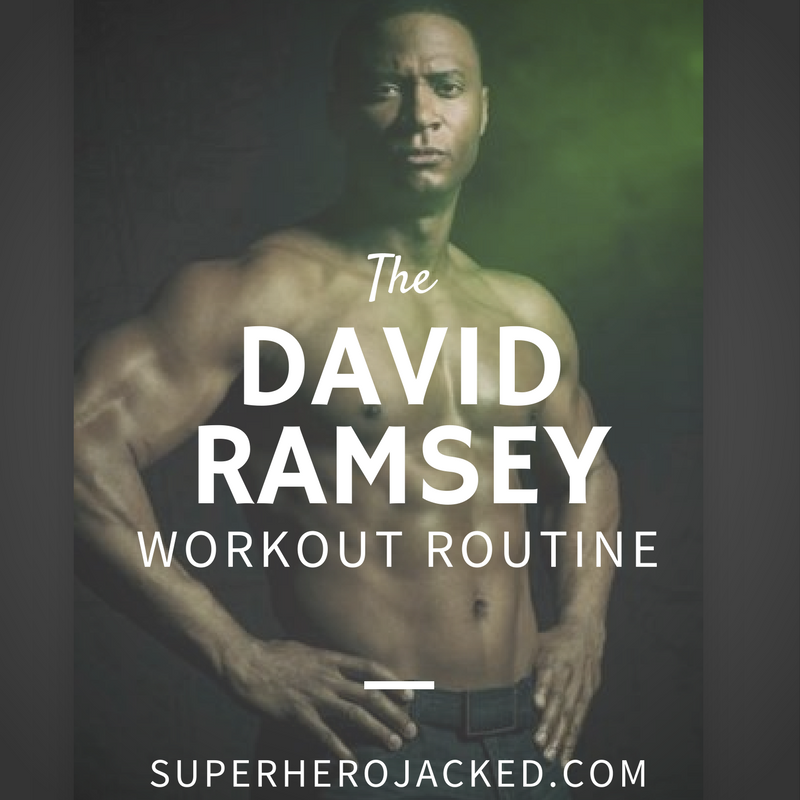 David Ramsey seems to be a typical macro/calorie counter. And, I don’t say typical in a bad way. 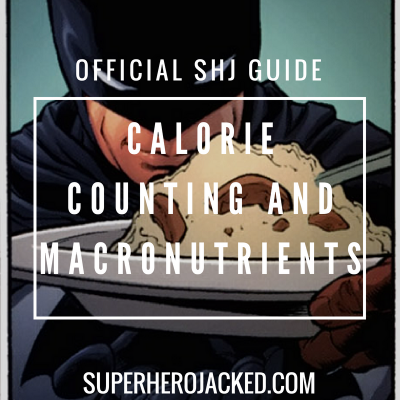 M&F: Does your schedule make it difficult to consume all your macros? DR: On set, it can be tough to get all my prepared meals in, so I have a blender in my trailer. M&F: Do you aim for a specific number of calories per day? DR: I’ve always been a thin guy, so I eat around 5,000 calories per day. I’ll lose all my mass and get a potbelly like my dad if I stop hitting the weights. I feel good when I’m around 200 pounds. 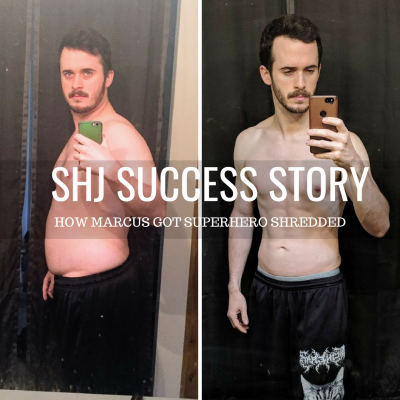 We’ve also seen guys like Hugh Jackman (Wolverine), and Dwayne Johnson (who programmed it for Jackman) utilize intermittent fasting throughout their days and then eating BIG and CLEAN caloric intakes in their un-fasted window to get lean and jacked! C’mon…that was a good one. M&F: As a co-star on Arrow and a regular on Blue Bloods, how do you find the time to train? DR: Staying motivated can be tough, but little things help, like laying out my workout clothes the night before, preparing my meals, setting my alarm clock, and not drinking [alcohol] an hour or two before sleep. M&F: You’re skilled in Jeet Kune Do, Bruce Lee’s hybrid style of martial arts. How has JKD influenced you? DR: The art revolutionized my life. I took to JKD because, philosophically, it’s all about making a choice. M&F: When did you get into weight training? DR: It was after being cast as Muhammad Ali [in 2000], and I met world-renowned kickboxer Benny “the Jet” Urquidez. I still use the traditional stuff I learned from Benny—pyramid sets, forced reps, dropsets. I don’t worry too much about the weight I’m pushing. I just want to exhaust the muscle from different angles. I also hold the contractions to increase blood flow; it’s all basic, no fad stuff. So, you can go ahead and assume we’re going to be throwing in some fighting styled movements. 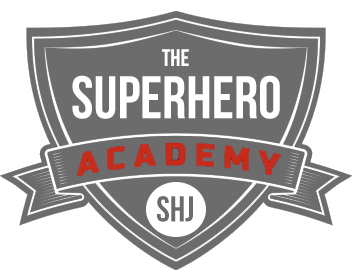 We might have to give Coach Derek Mellino from our Superhero Academy a ring on this one. He’s been killing it with the instructional videos he’s been supplying the SuperHuman’s of the Academy, so we’ll have to live up to his standards here. The reps will be listed for each set, but you should be increasing the load as the rep count becomes lower. Perform the movement and then drop the weight and continue for more reps until you reach failure.